Continue reading "2015 in Pictures 10/52"
SNOW! The first snow of the year ......ok, so it was a bit of an anti-climax and the 'heavy snow' that was forecast forgot to arrive, but the little tiny bit we did get was pretty! I have so many photos from last week that it is tricky to pick just one! I decided on this one of Zeph and I on the beach at Heddon's mouth at the end of our 'adventure' in Devon with Emily and Boo. On Friday Zeph and his girlfriend Boo went for a romantic stroll around Prior Park Gardens in Bath. They are the cutest couple! They had the place entirely to themselves.....as it was actually closed and we didn't realise until we got told off! Continue reading "2014 in Pictures 1/52"
Simply having a wonderful Wolfie time! 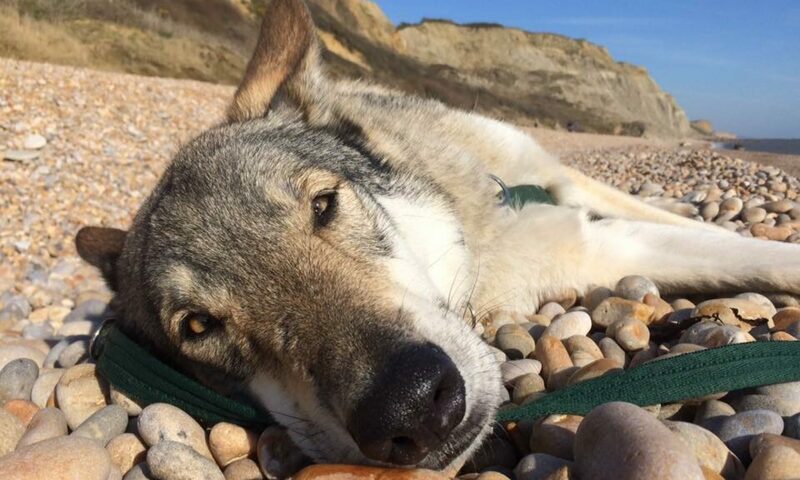 Continue reading "Simply having a wonderful Wolfie time!" Continue reading "A Year in Pictures 50/52"
I am afraid I can't take the credit for this stunning photo of Tuchena. It was taken by my husband whilst out walking at Kinder Scout in the Peak District last week.